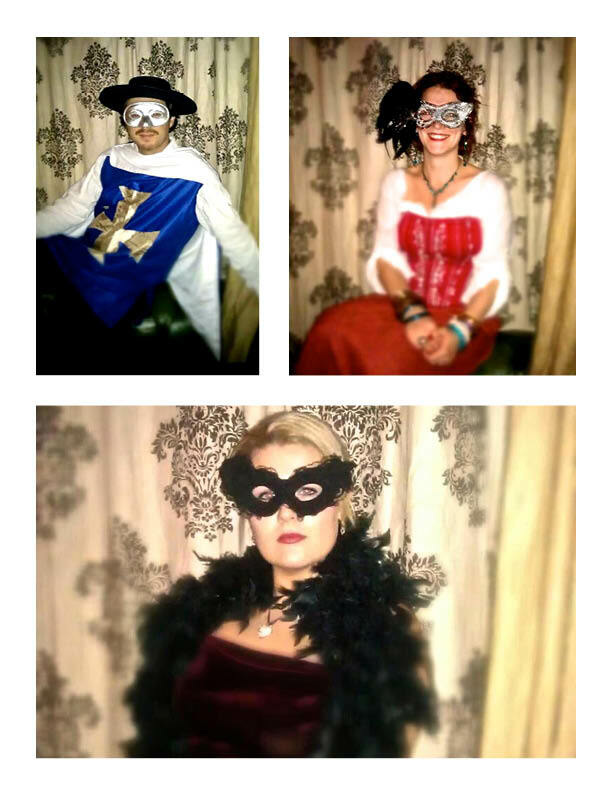 For Halloween this year, some friends of mine, PHD students living in London, decided to host a murder mystery party. The game they chose, by Ace Murder Mystery Games, was Le Mystere des Masques for 8-10 people. The game is a traditional box-set one and comes with a CD to play, invitations, character booklets and clues. Interestingly, on Ace's website you can buy it in two box sizes at two prices. Needless to say, my cash-poor PHD student friends went for the cheaper option. We had planned an early night to give us all day to decorate their flat for the party. However, the best laid plans... I woke up on a lumpy sofa, with a head that felt at least twice its normal size and as though it were pulsating. I looked at the clock, which was balanced next to a plate on which languished a half-eaten piece of what might once have been toast and jam, but I couldn't be sure. It was 2pm. The party was supposed to start at 7pm. Oops. Having somehow managed to clean the flat with a hangover, we dragged ourselves to the local supermarket and returned with baguettes, a selection of French cheeses, grapes (they look almost comically atmospheric on a candlelit table), salad and a couple of onion tarts. And for pudding? Ferraro Roche. Tada! No time or cooking required. Even I had to admit that 'jailhouse Baroque' was not the easiest theme to convey. However, we managed to set the scene with candlesticks in empty wine bottles (generally speaking the more candles the better as they soften the lighting and make it harder for people to spot the anachronisms in your decor - piles of DVDs never look good), printed copies of paintings from the correct(ish) time period, and A4 sheets of baroque pattern, which we Blue-tacked to the wall as a kind of makeshift wallpaper. Being that I was Marie Antoinette for this game, I had the option of either buying a wig or trying to make my own hair fit the part. I went for the latter option, mostly because I forgot to buy a wig. In these instances YouTube is an invaluable source of information as it has lots of great video tutorials. This video worked well for me. Then again, my hair is enormous at the best of times. If you have fine hair, it might be better to splash out on a wig or perhaps have a go at making your own. 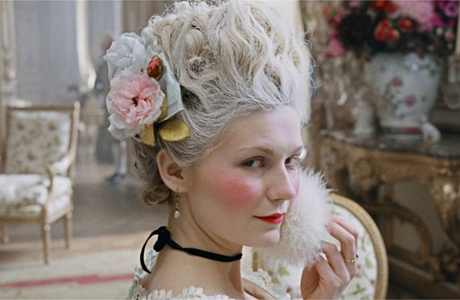 I would also recommend watching Marie Antoinette before playing this game, as the costumes and set are heart-stoppingly beautiful and will give you loads of great ideas. Note: the film also has the unfortunate side effect of making you feel like being hedonistic (so much cake, so much champagne!). Usually favouring A La Carte, I have to say that I was pleasantly surprised by the quality of this Ace game. The game was easy to follow and, as a consequence, at no point did the party descend into drunken chaos. The 'French' detective on the CD was genuinely funny, as was the script in the booklets, and the plot was just complicated enough to not be boring, but simple enough to keep up with after a few drinks. My only criticism would be that questions are doubled up: the extra characters are given the same questions as some of the main characters, so though it might look like you have three questions to ask on your list, if you're not quick off the mark then you can end up rather sidelined! Below are a couple of portraits from the party.